Our CNC Punching capabilities are probably second-to-none in Europe. With in-depth expertise, access to the latest technology and extensive CNC Punching experience, Fabricated Products is a leading supplier for this service. All of our manufacturing processes meet or exceed the requirements of ISO 9001:2008. 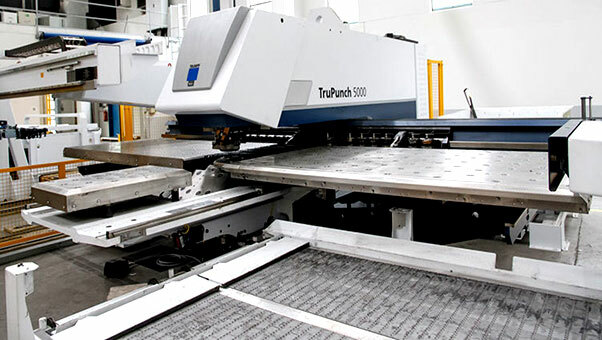 The company has four TruPunch 5000 CNC Punching Machines. This model is recognised as the fastest and most productive punching machine in the world, guaranteeing customers a speedy turnaround on orders. With a stroke rate of up to 1,400 strokes/min or marking up to 2800 strokes/min and the simultaneous increase of rotational speed and acceleration in the C axis – this machine operates at unprecedented speeds. 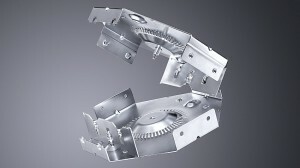 It can deliver contouring, forming and tapping at a rapid pace and it is capable of producing a Scratch Free part. Work Area 2500 x 1250 mm & 3000 X 1500mm with repositioning. Given the speed and the accuracy of this manufacturing service, Fabricated Products has worked with a broad range of industries using the TruPunch 5000’s to produce a huge variety of sheet metal parts. 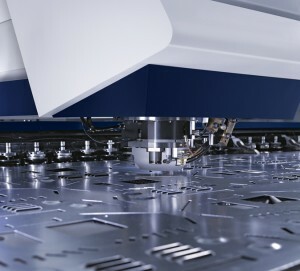 In addition to our state-of-the-art CNC Punching equipment, Fabricated Products offers a full set of related CNC services including Forming, Milling and Turning, as well as conventional Cutting services with the use of a Guillotine and Horizontal Saw, where appropriate. Learn more about our comprehensive set of Capabilities and please do contact us to discuss your CNC Punching requirements. 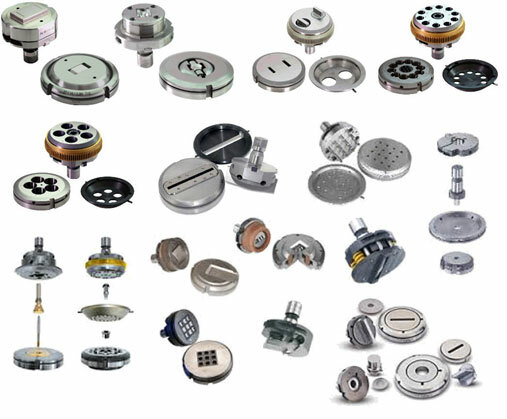 We have a vast and extensive library of tooling from standard punches to specials including forming, tapping, countersinking, special shapes, embossing, extrusion etc.